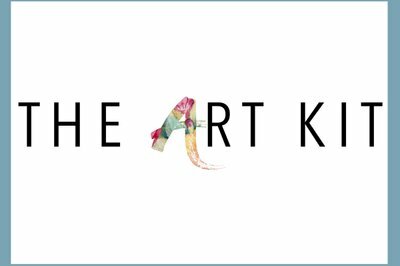 Enter your email address below to receive a notification when THE ART KIT LTD starts accepting new sign-ups! Enter your email address below to receive a notification when THE ART KIT LTD is accepting new sign-ups again. As we are quarterly, we will ship on the the 20th. Orders placed on or before the 15th of the month, will ship on the 20th of the same month. Orders placed after the 15th of the month, will ship on the 20th of the next month. Depending on when you sign up, each person may have their own shipping schedule to obtain the 4 boxes a year. 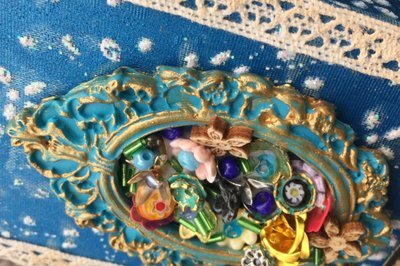 THE ART KIT LTD is based on mixed media art and will contain name brand art products and detailed step by step instructions... with photos as well!!! 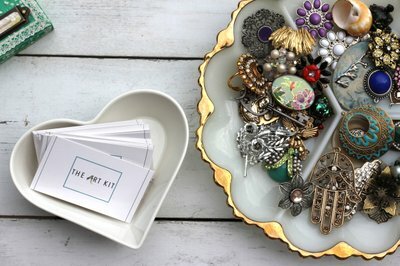 I have been collecting one of a kind treasures for many years, so every kit will have a little bonus treasure inside . There will always be supplies left over...allowing you to build a supply. As a little girl, I was so excited when something for me came in the mail. As an adult, my mailbox is generally filled with junk. 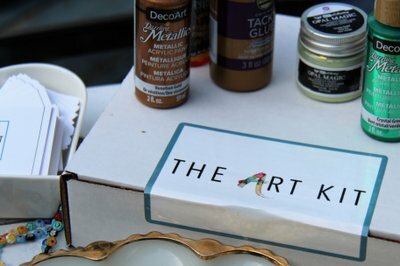 Now I look forward to opening the mailbox when I know it's time for The Art Kit Ltd. to send out their wonderful box of creativity! Great projects, easily to understand directions with pictures, top quality supplies, and a lovely little surprise! Well done and I can't wait for the next edition! Loved my first Art Kit! 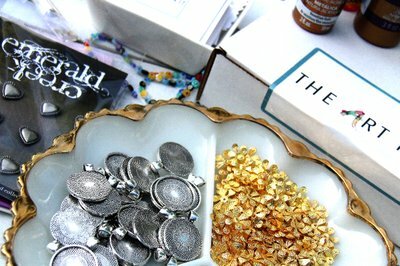 It was great to receive a "surprise" package at my door with complete instructions and many extras that can be used on other projects. The Art Kit is good for both beginners and for those with more experience as it leaves room for your own creativity to evolve.